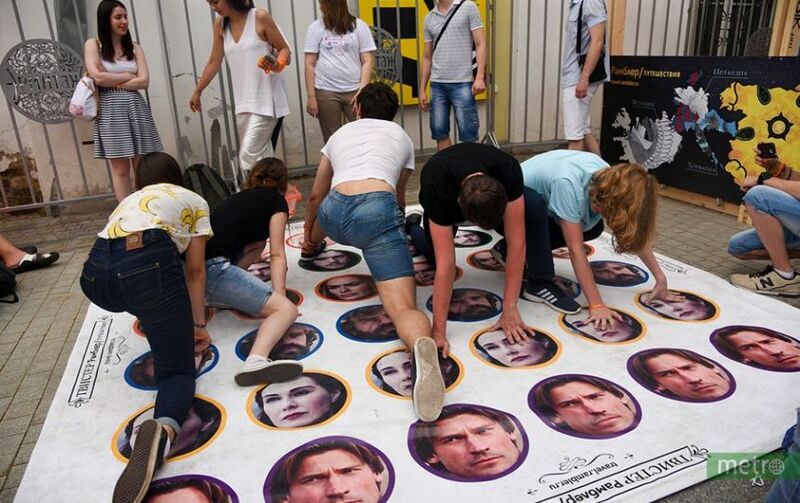 Over the weekend, the TV channel "REN TV" arranged "Game of Thrones" festival at the "Hermitage" garden in Moscow. The line was huge and stretched all the way around the garden. 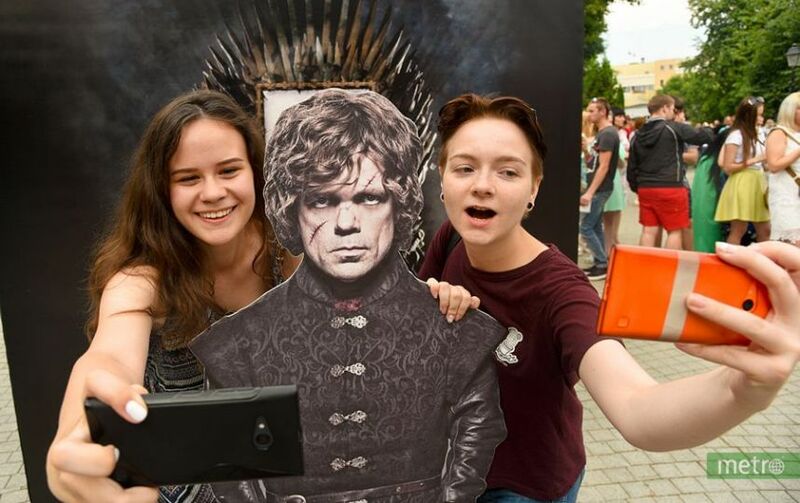 All these people have been waiting to be photographed on the Iron Throne, a symbol of supreme power. That's where the most desperate fans of the series gathered today - in this crowd, we thought. - I was standing a couple of hours, do not watch the show - says Rodion. - My son watches, he is walking here somewhere. But one-year-old Artyom waited with his parents in line for two hours. Well, their whole family's like fans, but it's not! 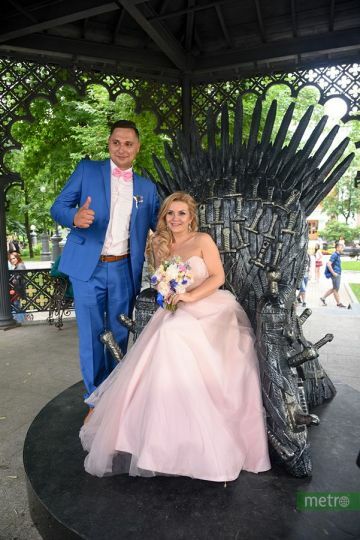 And then we saw newlyweds who sat on the throne, of course, without waiting in line. Finally, the real fans! - How long have you been watching "Game of Thrones"? - We asked. - We've been watching for several years - answered Maxim and Anna in chorus. - Do you know what character you look like? - My wife - is the fair-haired heroine, and I am... Knight - guessed Maxim. 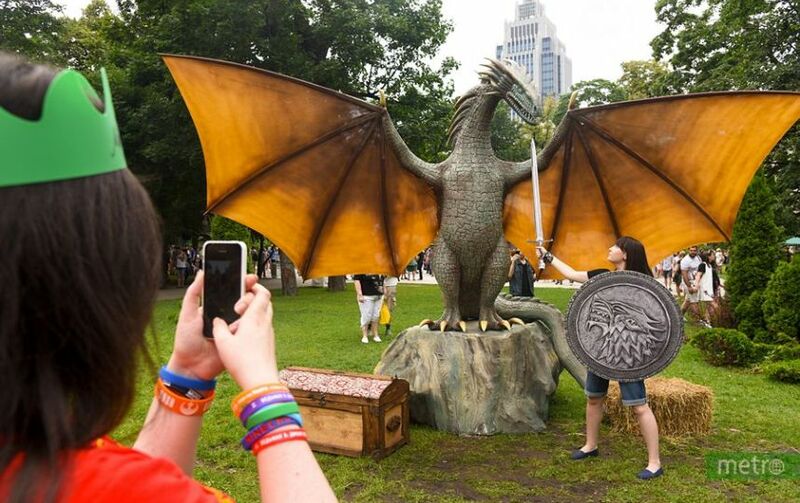 And then we saw a girl with a dragon sitting on her shoulder. - I made it myself out of foil and plaster - Kate told us. - Do you like Daenerys Targaryen, Mother of Dragons? - we asked with hope. 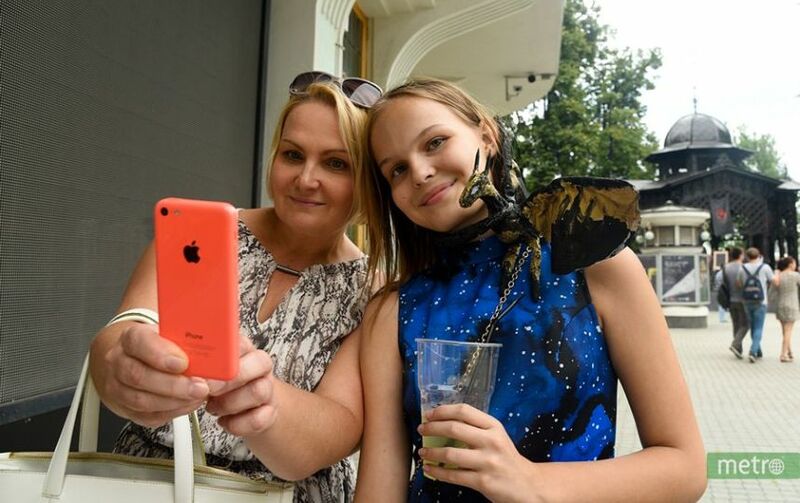 - She does not watch the show, she is too young, - said Katya's mother standing next to her. 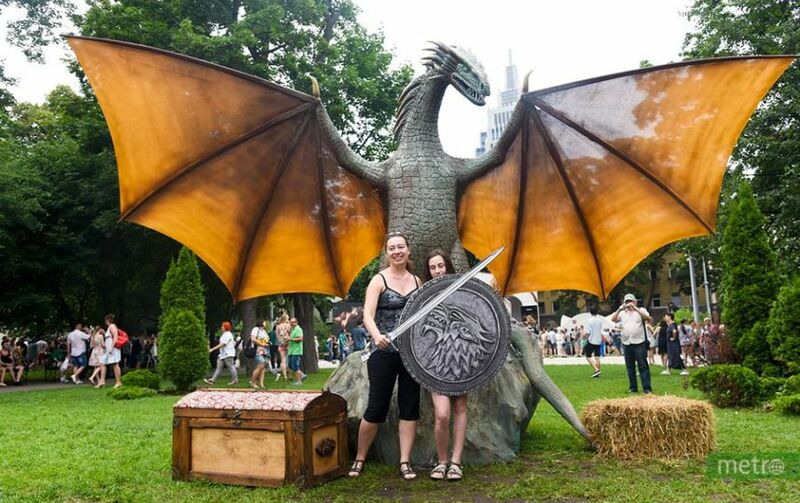 But we still managed to find a true fan - we recognized him by the gleam of armor in the sun. 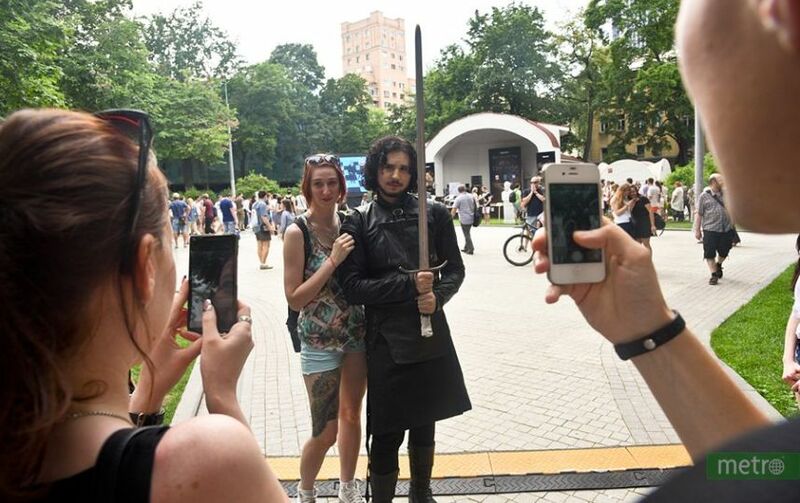 20-year-old artist, Paul came to the festival as the Stannis Baratheon’s knight. 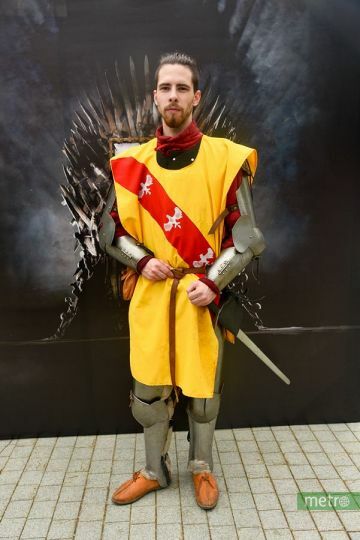 - I have been watching the show for four years, and for me, though it is important to take a picture on the throne. I waited in line for an hour and a half, I will wait until closing time if I have to.